Ferrari Duo Zip Through Sweat Jacket. Long sleeve zip through jacket in 100% cotton sweat fabric with 1x1 rib hem and cuff and side entry welt pockets. Contra color shoulder/sleeve panel and sleeve cuff. 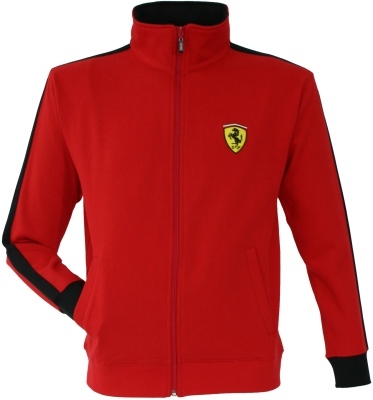 Ferrari racing shield embroidered left chest.